Eid-ul-Fitr is a celebration of Muslim community all over the world. It is celebrated by those who fasted an entire month to achieve forgiveness and health from Allah, to learn discipline and God's teachings and to prove their devotion towards Allah and not just by abstention of food and water. Eid is a time when the entire Muslim community comes together to share each other's joy and blessings and also to lessen the burden of those who may be suffering. The holiday celebrates the conclusion of the 29 or 30 days of dawn-to-sunset fasting during the entire month of Ramadan. The day of Eid, therefore, falls on the first day of the month of Shawwal. The date for the start of any lunar Hijri month varies based on when the new moon is sighted by local religious authorities, so the exact day of celebration varies by locality. People who have friends or relatives from the Muslim community may know a lot about this day and what importance it holds, for those who don't, here are some important things that make Eid, EID. Amidst the bonhomie, the excitement of meeting and greeting, it is crucial to remember that that Eid is not merely an occasion to binge. The festival carries an important message which is integral to the spirit of Islam, the message of compassion, generosity and sharing. 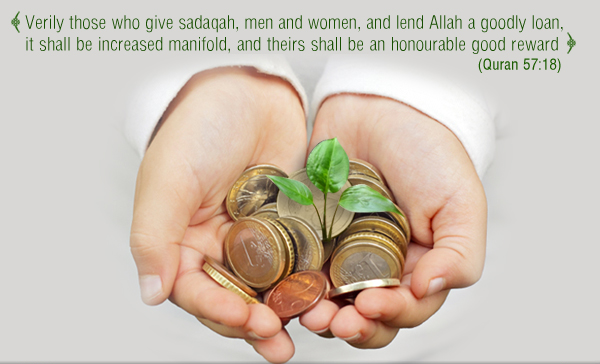 Every Muslim is duty bound to pay the Zakat-al-Fitr, which is charity given to the poor, during the month of Ramadan. The essence of the festival being training those who have, to be generous to those who do not have. Every child is excited when he/she receives gifts from their parents, similarly, Eidi is a token of love and blessings to children from their elders. Over the years the nature of Eidi has undergone a change with sweets and gifts being complemented by gadgets and vouchers but at the heart of it, the essence of sharing still remains the same. Food is the most important factor in any celebrations. Eid-ul-Fitr is also known as 'Meethi Eid' because of the popularity of sweet dishes and treats that are relished during the celebration. 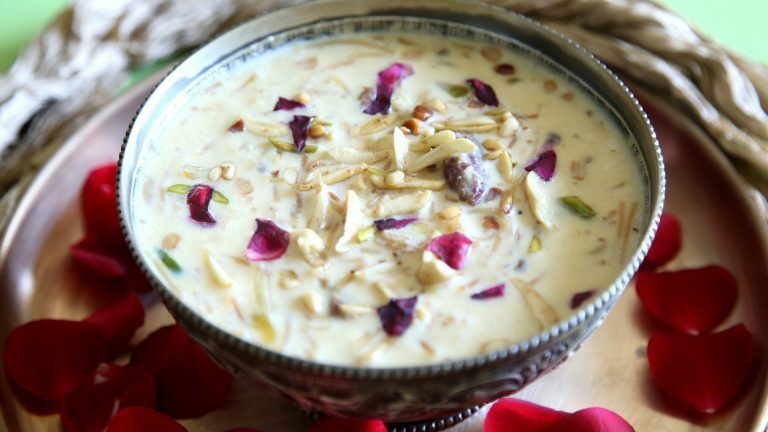 Sheer Kurma being the king of all desserts and mostly everyone's favorite. Families prepare large sum of food at home and invite guests over so everyone can relish and celebrate this day together. Celebrations of the festival commence after the sighting of the crescent moon on the 29th or the 30th day of Ramadan. No one seems to know when the Eid actually is, till the elusive moon is sighted. The elusive ‘Eid ka chaand' has inspired many shayeris and nazms .The excitement surrounding the sighting of the new moon is palpable in the air with children and adults alike waiting in bated breath for the moon to show up. 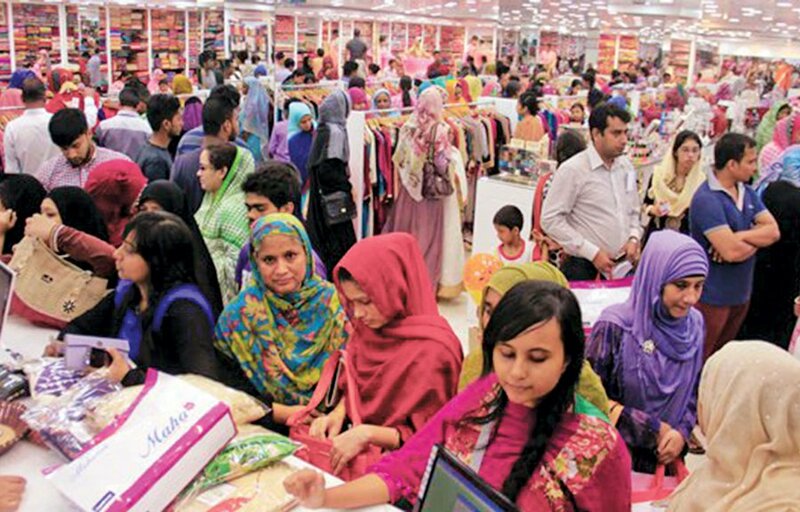 People start shopping for Eid in the beginning of Ramadan itself. On the day of Eid , people get dressed in their best clothes and flaunt their distinct style. Women in Salwar-kameej with matching jewellery and men in crisp traditional sherwanis make for a beautiful sight.